Roberto Martinez helped to officially unveil the new Dixie Dean Wall of Fame today. 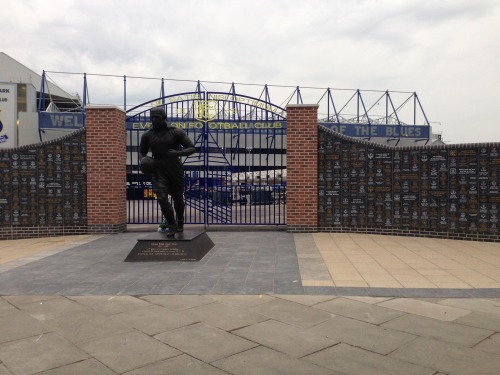 The first plans to unveil the new gateway to the stadium were revealed in February and the statue of Dixie Dean is the centerpiece of the area. The statute which was originally unveiled in May 2001, is now surrounded by the commemorative wall made up of engraved stones. 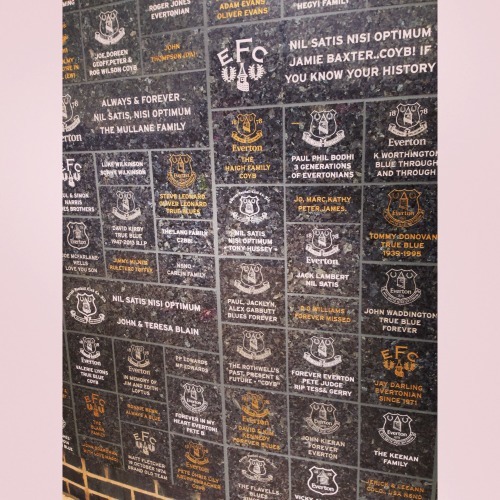 The ´Goodison Granites´ sold out within days of going on sale, with Evertonians snapping up the personalised plaques as gifts and tokens of their passion for the Blues with some also featured as a memorial for fans who are no longer with us. Hundreds of supporters turned up at Goodison Park for the launch event which coincided with the 86th anniversary of Everton´s greatest-ever striker´s 60th league goal n the 1927/28 season. Roberto was joined by Life President Sir Philip Carter, members of Dixie Dean´s family, Deputy CEO Denise Barrett-Baxendale and former players Graeme Sharp and Ronnie Goodlass. Pat Labone, the widow of Blues legend Brian, attended on behalf of the Everton Former Players´ Foundation while representatives of the Everton Fans´ Forum were also there. 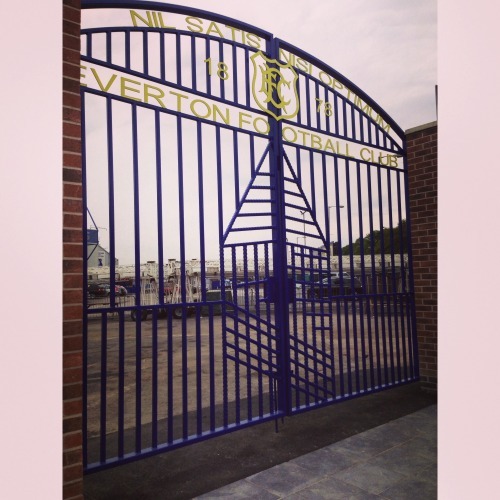 The area has been a project co-ordinated by the Everton Fans´ Forum, with support from the Club. Martinez said: “It was quite an exciting moment. We´d all been hearing a lot of good things about the project and what has been going on with the Fans´ Forum working really hard and the Club. “But you don´t see the picture until it gets unveiled and it was very impressive. “For me, it represents the two big pillars of everything we do on a daily basis; the fans and our heritage. 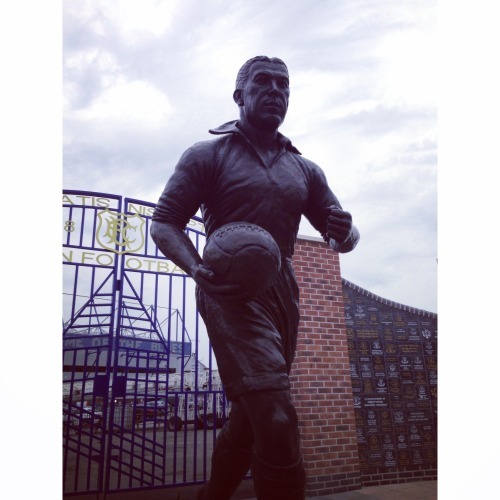 “Dixie Dean is the iconic figure that represents all the top ambassadors and players we had at the Club. And then to have the fans with their names on the wall, it´s quite a special place to go and get inspired before any game at Goodison.